After looking at “The Prophecy” on Monday and understanding the significance of “The Palm” on Wednesday, we will close out our week today by looking at The Prince. Notice that Jesus was not seated on a chariot or a war horse. He was riding on a colt that had not yet been weaned or ridden. This King came not in power or strength, but in humility. This picture of Jesus coming into Jerusalem on a donkey would be comical if it were not so cosmic. He rode into town on the foal of a donkey that he did not own, surrounded by people who did not understand what He had come to do. And ultimately, he would be crucified by those people, who did decided they did not want Him as their King. Did Jesus know what the people wanted? Of course He knew! He had known from before the creation of the world. But He refused to give it to them. Do you know why? For the very same reason He does not give you and I everything we want. Often what we want is not what is best for us. An earthly king was what the Israelites wanted to remove the rule of Rome, but that was not what they needed most. What they needed was the forgiveness of their sins. The bitter truth is that they were more enslaved to sin than they were to Roman rule. The deepest truth of this Good Friday and the glorious Easter morning to follow is that it was God the Father who sent God the Son to the cross for our sins. Because we would not and could not save ourselves, God came to us in the person of Jesus Christ, our Savior, and took our nails, our crown of thorns, and our cross to pay the penalty of our sins in full. But the story does not end on that bloody cross. 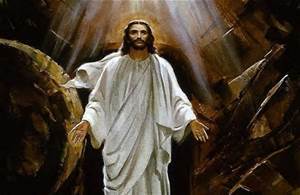 After three days in the tomb, a dead man got up and walked! After His triumphal entry and joyful cries of “Hosanna!” (soon to be followed by harsh shouts of “Crucify Him!”), before the branches had enough time to turn brown on the ground they covered, the greatest truth the world has ever been told was revealed. The tomb is empty because Jesus has risen … just as He said He would! Let that thought rule your heart today and every day for the rest of your life, because what rules your heart shapes your life. The tomb is empty so that our hope will be filled with the knowledge that the Prince paid the price for our sins and then uttered his thunderous victory cry: “IT IS FINISHED!” Have you placed your trust in this all-conquering King for your salvation? May you and yours have a blessed Easter. He is risen! He is risen indeed! !